On June 30, 2016, YTL Communications revealed their debut smartphone – the Yes Altitude. The Altitude is designed to be an entry-level VoLTE-capable smartphone. 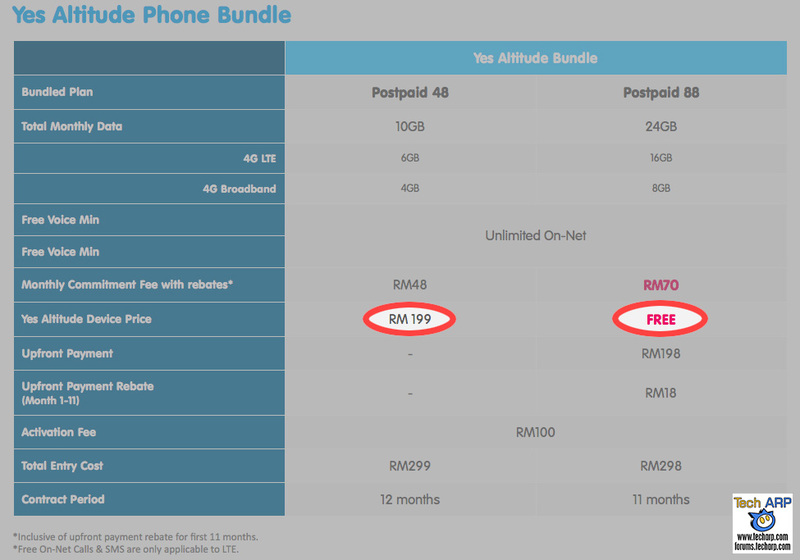 Hence, it is priced at just RM399 (~US$99), and bundled free with the new Yes Postpaid 88 plan. In this video, YTL Communications CEO Wing K. Lee, explains the rationale behind the Yes Altitude smartphone and details its key features. Check it out! The Yes Altitude can be purchased at any Yes outlets for RM 399. Each will come with a free Yes 4G LTE prepaid card with 30 GB of free data worth about RM 190! This means you will have 15 GB of data for 2 months – the same fantastic deal being bundled with every 2016 Samsung Galaxy J series smartphone. The Altitude is also offered FREE, or at a discounted price of RM 199, with these two Yes 4G LTE plans. Of course, these Yes 4G LTE bundle plans will not include the free Yes 4G prepaid card with 30 GB of free data.